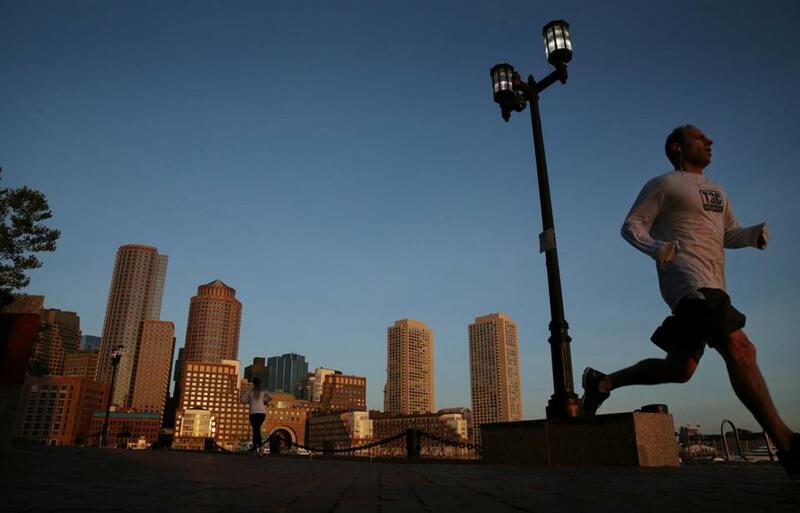 A jogger passed the skyline while running on the Harbor Walk in the Seaport District. In the fierce competition to be Amazon’s second home, Boston has moved on to the next round. The region is one of 20 across North America that made a short list released Thursday of places where the Internet giant will consider building “HQ2” — a massive campus that could someday house 50,000 employees and complement its longtime home in Seattle. Ever since Amazon announced the project in September, kicking off a continent-wide frenzy that prompted nearly 240 proposals, Boston has been considered a top contender, thanks to its universities, skilled workforce, and diverse economy. The search now moves to a new phase of the contest in which Amazon will burrow into each proposal, scouring potential sites, studying labor markets, and likely negotiating tax breaks and other incentives. Amazon, which plans to make a final decision this year, hasn’t yet said whether there would be another round of winnowing. The much anticipated lineup made public Thursday contained few surprises. No local long shots like Leominster or Lawrence, or struggling Midwest cities like Detroit or St. Louis, which Missouri’s governor offered to connect with Kansas City by Hyperloop for a state-spanning campus. Most places that made the cut had been widely considered contenders, with the universities, global airports, and big, skilled workforces Amazon said it wanted. 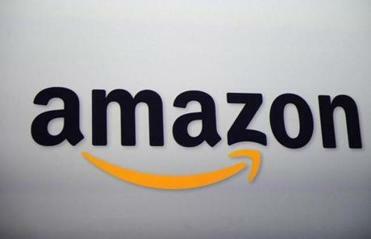 In a press release, Amazon said it had reviewed more than 200 proposals from across North America. Along with Boston, bids from New York City, Newark, Philadelphia, Pittsburgh, and three from the Washington, D.C. area — Northern Virginia, Montgomery County, Md., and Washington itself — made the cut. So did a smattering of growing cities across the Midwest and Southeast, Dallas and Austin in Texas, and Denver. On the West Coast, only Los Angeles was listed. Toronto was the lone representative from Canada. The list of likely suspects made it hard to predict favorites, analysts said, though a few observers pointed out that three sites in and around Washington — where Amazon founder Jeff Bezos owns a large home and The Washington Post — could be a sign that Amazon favors the nation’s capital. Twenty markets, covering about one-third of the country’s population, is an unusually long short list. While it’s possible Amazon has a truncated tally of true top contenders, there has been nothing usual about the process, said site selection consultant Lawrence Moretti. While Amazon received more than two dozen proposals from across Massachusetts, the company will focus on sites in Boston and Somerville. Boston pitched a campus at Suffolk Downs, but listed other possible locations in the Seaport, Downtown, and elsewhere. Somerville Mayor Joe Curtatone separately proposed a string of sites along the Orange Line and Green Line Extension running from North Station to Assembly Square. Walsh administration officials said they hope to talk soon with Amazon’s team about specific locations and other details of what Boston can offer. And that makes it hard to predict what Amazon will prioritize as it winnows down finalists. States like New Jersey and Maryland have already offered up multibillion-dollar incentive packages, while Toronto has leaned on its diversity and cities such as Pittsburgh have touted their quality of life and relatively lower costs. In crafting their bids this fall, Boston, Somerville, and state officials promised to tackle the high cost of housing and aging transportation infrastructure. And they largely avoided any talk of tax breaks or incentive programs that could dent state coffers — and support for the project. Officials acknowledged the time to talk about incentives is fast approaching. State economic secretary Jay Ash said he hopes to sit down soon with Amazon officials and get a sense of what they need and where, exactly, they might be interested in going. As they weigh incentives, the Baker administration will need to gauge lawmakers’ appetite for anything beyond existing grants and tax credits that could enable tens — but likely not hundreds — of millions of dollars in state aid. On Beacon Hill, fault lines were beginning to show Thursday between those who are open to new enticements for Amazon and those who would steer clear of anything that could be construed as corporate welfare. Acting Senate president Harriette L. Chandler offered a more measured take, saying it’s “great to see” Amazon recognizing what Massachusetts has to offer. And Senator James B. Eldridge, an Acton Democrat, flatly rejected any new enticements. “My first reaction: I’m opposed to a legislative package or tax break package for Amazon,” he said. And a few around town took Thursday’s news as a chance to suggest Boston should just bow out now, warning that 50,000 Amazon jobs would only drive up the cost of already-pricey housing, and vacuum up workers from other companies in a market where labor is tight. But other experts say that the chance to be a second home for one of the world’s most innovative companies is worth the risk of higher cost, and that Amazon is clearly interested in Boston. The company has rapidly expanded here in recent years and today employs more than 1,000 well-paid engineers and developers in Boston and Cambridge. The Globe reported this month that Amazon is already looking for up 1 million square feet of office space in the Seaport, enough to house thousands more. That locationcould wind up being the start of a second headquarters, said Richard Taylor, director of Suffolk University’s Center for Real Estate. Or just a big branch office. Either way, he said, when it comes to Amazon, Boston is in great shape. Joshua Miller and Shirley Leung of the Globe staff contributed to this report. Tim Logan can be reached at tim.logan@globe.com. Follow him on Twitter at @bytimlogan.